Polydon Industries are not always given new products to develop, but sometimes existing products need further development. 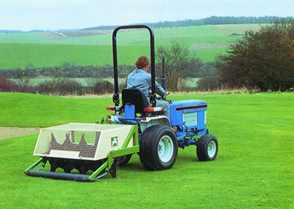 This was the case with a range of ground care equipment. These products were unsuitable for higher production volumes the customer required. Originally made by a variety of sub-contractors on an adhoc basis, the result was unreliable delivery and inconsistent quality. The whole range of equipment was put out for tender to a variety of engineering companies. Polydon did not take the easy option of a simple quote, but re- evaluated all components creating new designs to achieve higher quality but lower cost products. Polydon now manufacture the complete range of equipment, delivering to schedule a higher quality product than previously achievable.